Tibetan dwelling, Western Sichuan. The Tibetans, some of the most adept stone builders in China, constructed many of these large and elaborate stone structures. 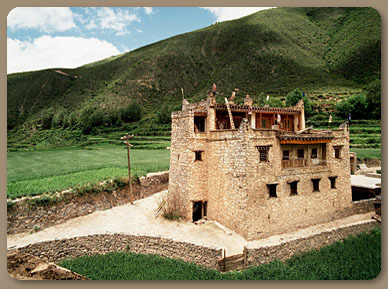 These family homes are part of larger villages and typical of Eastern Tibetan architecture.